Jetbird, the Pan-European, private jet airline, today announced the launch of its new brand, aircraft livery and website www.flyjetbird.com marking further progress towards its full commercial launch in September, 2009. 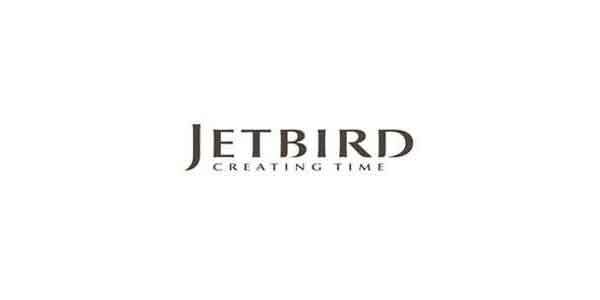 Jetbird’s new brand focuses on the concept of “Creating Time”. Jetbird will transform European private air travel by offering a direct, on-demand private jet service at a fraction of the current cost. Jetbird’s service will be hassle-free, offering total flexibility by placing the scheduling power into the hands of the customer and, in so doing, save on the most valuable resource in the world – time. Jetbird will create time for more business or more leisure in today’s busy world. The Jetbird aircraft livery, detailed on the new website, marks a significant change to the traditional concept of the private jet. Jetbird aircraft will be unique and easily identifiable for customers and set Jetbird, and its best-in-class Phenom 100 aircraft, apart from existing, high-cost private jet operators. Jetbird also launches a new website on www.flyjetbird.com alongside its new brand and aircraft livery. Jetbird’s website will be further developed, over the course of 2009, to incorporate its on-line flight booking system and the capability to book events, package deals and other ancillary travel services such as cars and hotels. A German language version of the website will also be launched in May 2009.